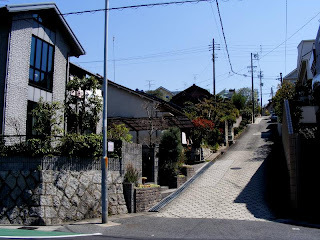 Actually this place has nothing touristical to see, but showing daily Japanese life is also interesting in my opinion. 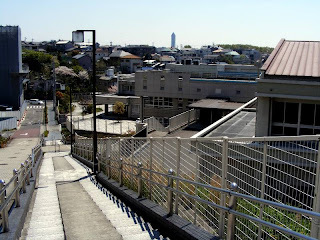 I passed by this school which really looks like in the animes. At the traffic light there was this funny button to cross the road. Please compare it with the shot that Maria took at Madrid (which recently won a second prize in a photograph contest!). As a daily life photographer I have to learn how not to get embarrased of taking pictures of people. Most of the time they look at you with an evil eye and I hate it. 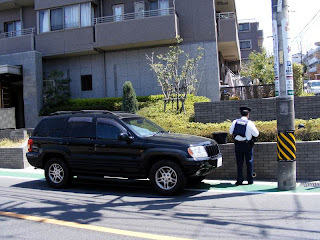 In the pic above I took the easy way hehe a policeman from the back while putting a fine. In these two shots I improved a little bit, but I was pretending that I wasnt taking any picture hehe. 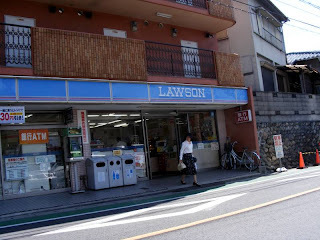 Lawson is one of the 24 hours shops that exist in Nagoya (others are 7 eleven, family smart for example). 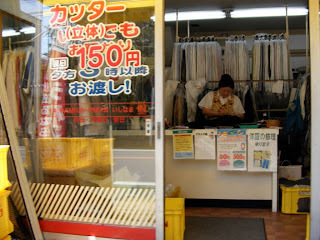 They are very useful because you can buy food and other stuff there at anytime of the day.